Below are some helpful instructions and scheduling tips to help you manage your reservations, account and billing information and guests. Click this link to take you directly to our scheduling site to manage your account. You can also view our schedule and sign up for classes on class schedule page. Below are instructions to help you manage your wait lists. You can view and cancel your current wait lists at anytime. YOU ARE ALLOWED TO BE ON A MAXIMUM OF FIVE WAIT LISTS AT ANY GIVEN TIME. If you are at your max of 5 wait lists you can always cancel a future wait list reservation and use it for a more current one. In order to use your member guest pass your guest MUST create an online account at releveone.com. 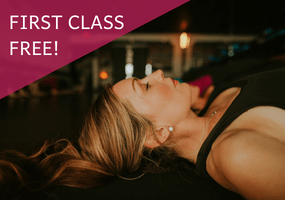 Once the account is created, please email your guest’s name to info@releveone.com and we will transfer the class to their account so they can schedule their free class online. Guest passes are subject to class availability so please give us as much advance notice as possible to help ensure a spot is available. Guest passes are non-transferrable to other studio clients. If you are using your perkville reward points for the pass you must REDEEM the pass from your perkville account before it can be applied to your studio account.